American Pale Ale brewed with Briess’ new Copper Carapils malt. At this past year’s National Homebrewers Conference I had the chance to try a couple of beers showcasing Briess Malting’s new Carapils Copper malt. While it seems hard these days to get folks excited about anything that’s not over-the-top hoppy, sour, or barrel-aged, I was genuinely impressed by said beers. The malt had a subtle bready character backed up by a soft toasty quality that I found unique and appealing. While these descriptors sound pretty generic, this malt had a unique character that was subtle yet different from what I’d expect from similarly colored crystal or kilned malts. 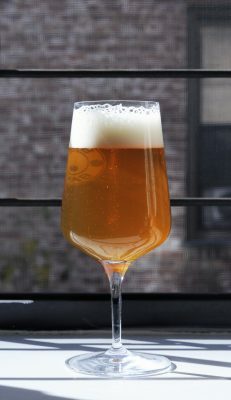 Wanting to get a chance to use this malt—and eyeballing some leftover Mosaic hops in my freezer—I decided to formulate a hoppy pale ale that would perhaps test the specialty malt’s ability to stand out in an intensely hopped beer. Medium-plus hop nose with aromas reminiscent of pine resin, mango, and some pithy citrus. The hop is slightly grassy and vegetative. Beyond the hops lies a subtle malt toastiness that is trying to make itself known beneath the more boisterous hop components. The beer is deeply golden, bordering on copper. There is just a whisper of haze, somewhat remarkable considering the amount of dry hop that went into the beer. There is a large white persistent head that leaves lacing all the way to the bottom of the glass. The flavor showcases a very hop-forward balance heavy on pithy grapefruit, pine, and just a touch of tropical fruit. This beer illustrates the variability in character that is common with hops, especially for homebrewers and small commercial brewers that are unable to cherry pick their hop selections. My previous experiences with Mosaic were much more tropical and fruity than what I experienced with this beer. Beyond the hops lies a subtle malt character that has some intriguing toasted bread crust and biscuit flavors. There is not a whisper of caramel sweetness—something I try to avoid in my pale ales. There is a light minerality that intensifies the moderate amount of hop bitterness. The beer is very dry and balanced. The beer features a medium-to-low body. This is a crisp and refreshing beer. No hop astringency or other unpleasant mouthfeel components. This is a really nice beer. The hops I used were a bit old and not as bright and fruity as I would have hoped from such a heavy dosing of Mosaic. Finding an appropriate malt balance seems to be a perpetual challenge when brewing American Pale Ale. 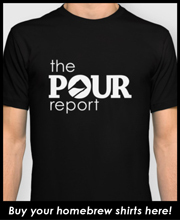 The trends in APA have been moving towards minimizing malt while driving up hop aromatics and flavor. This beer strikes an excellent balance by creating some nuanced malt character that is toasty and dry without detracting from the hop character or burdening the beer with heavy, sweet caramel flavors. Triangle testing was used to see if I could consistently select the one beer out of three that was different. 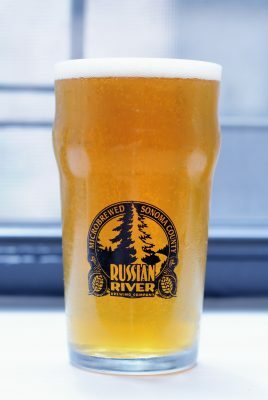 A number of months ago I royally screwed up an experiment designed to test whether using low-dissolved oxygen brewing had any practical effect on the the outcome of a finished beer. I accidentally dosed the beer with 10x the amount of sodium metabisulfite intended and successfully produced two wholly undrinkable beers. For those unfamiliar, the original reason I wanted to test this variable was a paper published on germanbrewing.net. The authors argued that the use of low-dissolved oxygen techniques on the hot side of the brewhouse is a primary driver of the fresh malt flavor present in German lagers and it is those techniques that are a key differentiator between said beers and those from other lager breweries that have less control over oxygen on the hot side of their brewhouse. Pre-Boiling Brewing Liquor: All of the hot water used in my mash was first boiled for 5 minutes before being quickly cooled via a plate chiller to mash temperature and then gently stirred into the mash. No Sparge: I eliminated the sparging step from my normal brewing process as it offers another opportunity for oxygen ingress into the mash. Chemical Oxygen Scavengers: Prior to mashing in, my strike water was dosed with sodium metabisulfite, which acts as an oxygen scavenger during the mash. I aimed to dose the water with 55 mg/L, the recommended dosing rate for beers employing a no-sparge method. This turned out to be 1.1 grams based on my 5.4 gallons of strike water. No Vourlauf: I skipped my normal vourlauf stage as, again, it could be another potential source of aeration in the mash. For the recipe, I chose to make a simple pale lager that had a touch of simple sugar in it as well as a touch of late hop character. The idea was to create a fairly neutral palate where any differences could be easily perceived. To test the resulting beers, I completed a series of blind triangle tests. To setup the test, two of the same beers and one outlier were tasted blindly side-by-side. I then tried to select the sample of the three that was different. This test was completed five times with the outlier beer randomized over the tests. Pure chance would have had me select the correct sample 1/3 of the time or 1.65 times out of the 5 rounds of testing. With this particular round of testing, I was able to select the outlier successfully 3 of the 5 times. First, I must say that it was extremely difficult to distinguish between the two beers in a blind triangle test. The differences between the beers were extremely nuanced. 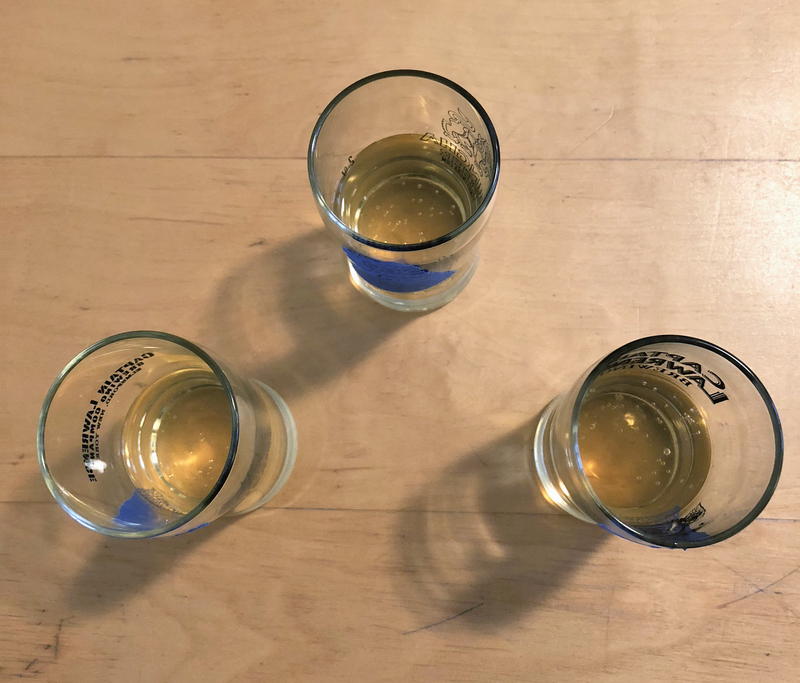 The biggest perceivable difference between the samples was that the LODO beer had a consistently higher level of sulfur in the aroma—making the beer stand out ever so slightly in a blind triangle test. I failed to notice any perceivable difference in either malt or hop character between the LODO and conventionally-brewed beers. If I were to judge the beers on a point system, I would say the LODO beer was subjectively slightly worse than the conventional beer due to the increased sulfur levels in the beer. This is likely directly attributable to the sodium metabisulfite used in the beer mash; something I wouldn’t expect to be employed by a commercial brewer attempting LODO hot side processes. This makes me think that perhaps the methods large German lager brewers use to prevent hot side aeration (that do not employ sodium metabisulfite) may very well be effective in maintaining a fresh malt character in their beers. As a homebrewer, I’d say the use of sodium metabisulfite as an oxygen scavenger should be cautioned against, at least at the 55 mG/L levels that seem to leave residual sulfur in the beer. Several years ago the Homebrew Wife and I had a memorable beer from Danish brewer To Øl called “To Øl Gose to Hollywood”. The beer was very refreshing with a bright citrus character. The natural harmony between salt and citrus that is frequently exploited in the culinary world also makes for a fantastic flavor combination in beer. Fast forward many months, and still inspired by the concept of citrus, salt, and lactic acid, I took a shot at producing a similar beer. I’ve brewed a number of beers in the past that featured orange peel on the hot side, but have always been somewhat underwhelmed by the amount of citrus character that carries over into the finished beer. For this iteration, I decided to try and boost the orange character with the addition of orange juice concentrate. The juice concentrate was added at the end of whirlpool to sanitize it and retain as many volatile aromatics as possible. The beer presents a moderately lactic, yogurty twang on the nose with only hints of soft sweet orange. The malt is lightly bready, but otherwise very benign. In general, the aromatic presentation is quite flat. Would like to see the citrus really popping out of the glass. Deep gold with an obvious, although not murky, haze. The beer has a great big white persistent head. Very attractive. This beer has a medium-plus orange character that is very juice like. 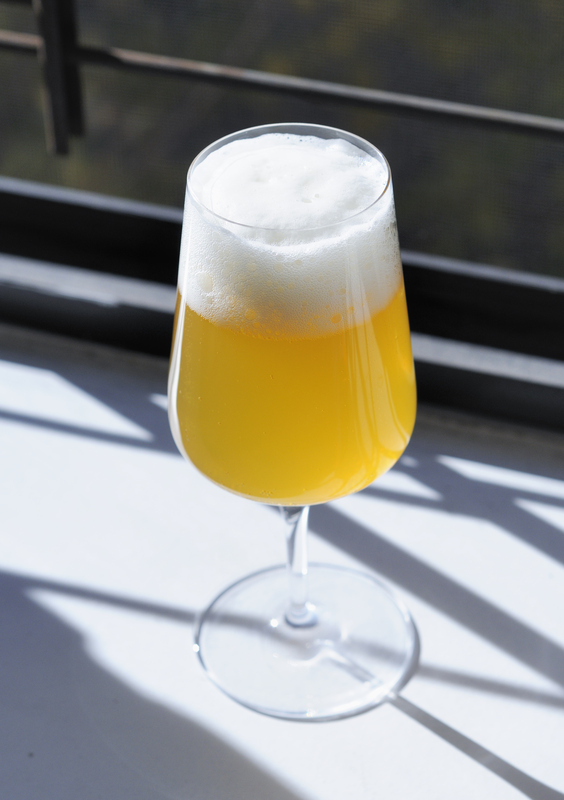 It’s hard to explain, but the beer’s character is less like the ‘essence’ of orange (oil/zest) and more like watered down orange juice (which it kind of is). The orange character is not as bright as I would have hoped, although the high lactic acidity does help to brighten the overall beer. The salt is noticeable—just above the threshold of where I’d be able to pull it out as a salinic note. There is a slight bready character coming from the malt that is perhaps just a touch high. The beer is pillowy with a slightly full mouthfeel. The wheat character is very evident, giving a fullness that is perhaps accentuated by the salt. The beer could be a bit crisper, although a medium-plus acidity helps keep the body in check. The carbonation is still a bit low, in spite of priming to 3 volumes of CO2. I get the sense that the beer is struggling to fully carbonate given the acidic environment. While this is a pleasant beer, it needs some work before it’s on the same plane as the To Øl beer. I’ve had difficulty getting lactic heavy beers to attenuate to the levels that I desire. For the next iteration of this beer, I will employ a step mash with the intent of driving attenuation. Additionally, I’d consider dropping the orange peel on the hot side as I don’t think it is contributing much to the beer. The orange juice addition was an interesting experiment, but I don’t think it will be able to imbue the bright citrus character I hope to bring to this beer. The acidity in the beer is right where I’d like it. The salinity is good as well, although I may pull back 10-15% in an attempt to get it a bit less perceptible. Bonus: See how judges scored this beer at the 2017 Queens Beer Challenge. Don’t let the condensation fool you, our Cryo hopped pale ale turned out nice and bright. One of the best things about the National Homebrewers Conference is getting to see new products. At this year’s trade show, I was excited to see Yakima Chief Hops (YCH) debuting a new product called Cryo Hops. Not only was YCH pouring several professionally-made beers using Cryo Hops, they were also giving away samples of the product. Cryo Hops are created through a proprietary process that uses liquid nitrogen to break apart and separate the hop lupulin glands from the leafy bract material. This separation allows Cryo Hops to contain a much higher proportion of hop resin and essential oils, typically double what you would see in a pellet (by weight). This is a key point of interest for brewers as, in theory, it allows you to get the same hop effect in your final beer while putting less physical plant material into the beer. This should not only cut down on kettle losses, but also perhaps some of the more grassy harsh notes that hops can impart on a beer. In addition to trying out the Cryo Hop product, I also wanted to test out fermentation hopping. There has been a lot of talk lately about the biotransformation of hop compounds that takes place in the presence of yeast. It seemed intriguing to try and add Cryo Hops to the fermenter early on in primary fermentation to see what the sensory impact would be. In some ways, Cryo Hops are perfect for this as they have less leafy plant material than normal hops. In theory, this means they can withstand the longer contact time needed to get through fermentation and cold crash without the beer becoming grassy—a problem typical of extended dry hop periods. This recipe contains only a small bittering charge of traditional pellet hops. All hop flavor and aroma comes via fermentation hopping. Added during high krausen on day 2 of the primary fermentation. Left in fermenter for approximately 10 days until fermentation and cold crash was complete. Very high hop aroma with tropical notes of mango and pineapple. Very bright and juicy. There is just a touch of white pepper on the nose, similar to the spiciness I sometimes get from eating actual mangoes. There is just a slight toasty malt component. Very clean with no real fermentation character or alcohol. No grassiness. Traditional brewing knowledge would lead one to think that a large portion of hop aroma would have been scrubbed by CO2 during primary fermentation. This beer seems to be an outlier from this typical assumption—perhaps the hop compounds metabolized and transformed during fermentation are less volatile? The beer pours a deep gold with some slight copper notes. There is just a bit of light haze, topped with a very persistent off-white head. I was expecting much more turbidity given the amount and timing of the hopping. The beer is pleasantly bright. The high hop aroma doesn’t seem to carry over to the same degree on the palate. The hop flavor is there, but not nearly as high as I would have expected based on the nose. It is hard to tell whether this is attributable to the lack of any real kettle hopping or the use of Cryo Hops. In either case, there is a certain amount of hop flavor I’d typically expect in a highly hopped pale ale that seems to be missing. The hop flavor is fruity, but a bit one dimensional. There is a nice maltiness to the beer that is toasty and biscuity. A medium bitterness accentuates what is already a very dry beer. The beer has a medium-low body with crisp carbonation. Dry. Refreshing. No astringency or heat. This beer really shines on the nose, giving the pure essence of highly aromatic fruity hops. The flavor,vhowever, is a bit of a letdown considering the boisterous aromas. I like the malty components that are quite apparent, but may perhaps be a bit too flavorful for what was intended to be a very hop-forward pale ale. I think this beer could be improved with a large charge of traditional pellet hops in the whirlpool and perhaps cutting the Maris Otter base malt with a bit of Pilsner or standard 2-Row base malt. One of my all-time favorite flavor combinations in beer is that magical concoction of a lightly sour blond ale and ripe acidic apricot. For me, this is one of the preeminent examples of synergistic beer formulation. 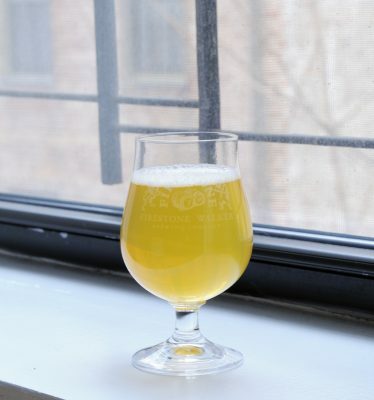 This particular beer starts with a lightly tart base beer provisioned with an ample, earthy Brett funk and naturally occurring stone fruit-like fermentation esters. The sour base reinforces the inherent acidity in the fruit while the slightly phenolic Brett funk finds harmony with the somewhat tannic and earthy qualities that the apricot skins bring to the table. Apricot sour beers can easily become overly acidic (to my palate)/ So with this beer I hoped to start with a mellower sour base beer in order to prevent too much sharp acidity after the fruit had been added and fermented out. If you’re looking for an insanely sour fruit bomb like Cantillon Fou’Foune, you probably don’t want to use this recipe (or, if you do, bump up the fruit addition). If you prefer a mellower, more nuanced beer, then this recipe is on point. 3 lbs. 1 oz. – Vintner’s Harvest Apricot Puree. Added after 10 months of primary fermentation. Beer was allowed to referment on the puree for an additional 4 months. The beer features a complex bouquet of mixed-culture funk. The Brett character is strong with plentiful aromas of wet hay, grass, as well as some fruitier stone fruit elements. There is some acid character on the nose that is tangy and bright. The apricot aroma is somewhat nuanced but well-integrated with the funk, featuring an overripe, fermented fruit character. There is just a touch of grainy malt that sits in the background. I wish the apricot would pop a bit more against the complex fermentation-derived aromatics. The beer is a medium golden with a slightly milky haze. Abundant white bubbles form a soapy head when poured, but quickly dissipate. Initially the beer showcases a bright, medium-plus lactic sourness. This acidity is complementary to a bright, juicy apricot note that is reminiscent of nicely ripened fresh fruit. The complex Brett funk that was apparent on the nose is pretty subdued on the palate and gives way to the beer’s other fruity elements. The finish is somewhat short, leaving a one note impression of acid and fruit. There is a slight, plastic phenol on the finish. The beer is medium-low in body with medium-low carbonation. The beer feels a bit flat and could benefit from a bit more carbonation. This is a nice, enjoyable fruited sour beer. The fruit melds well with the funky base beer, but would could benefit from a bit more concentration. The sourness in the beer is pleasing and clean without being over-the-top and palate destroying. Nice beer, although it may not stand out in a beer competition due to its more nuanced character. Bonus: See how judges scored this beer at the 2017 Homebrew Alley competition in NYC.